ISLAMABAD: The refusal of Punjab Governor Rafique Rajwana and Khyber Pakhtunkhwa (KP) Governor Iqbal Zafar Jhaga to step down without verification of directives of Pakistan Muslim League-Nawaz supreme leader Nawaz Sharif has led to a new dispute as both the governors have contacted President Mamnoon Hussain for confirmation of the directives of Nawaz Sharif asking them to tender resignations from their offices. The governors were of the opinion that until it was not confirmed that former governor of Sindh Muhammad Zubair stepped down at his own will or on directives of PML-N supremo, they can’t take any decision in this connection. Sources told INP on Saturday that after results of general elections last week, Nawaz Sharif through ex-governor of Sindh, Muhammad Zubair, had asked President Mamnoon Hussain, Punjab and KP governors to step down. 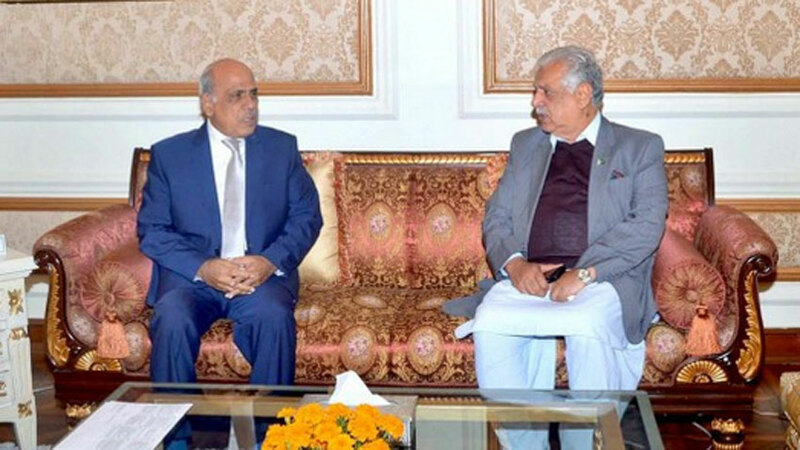 The former Sindh governor after tendering resignation had also held a meeting with the president and asked him to step down too. He said that it was the message from former prime minister Nawaz Sharif. Meanwhile, PML-N President Shehbaz Sharif and party Quaid Nawaz Sharif at Adiala Jail have also been informed about the situation. When contacted by INP, Muhammad Zubair confirmed the reports saying that he stepped down after receiving directives from party chief and also conveyed his message to the other two governors.